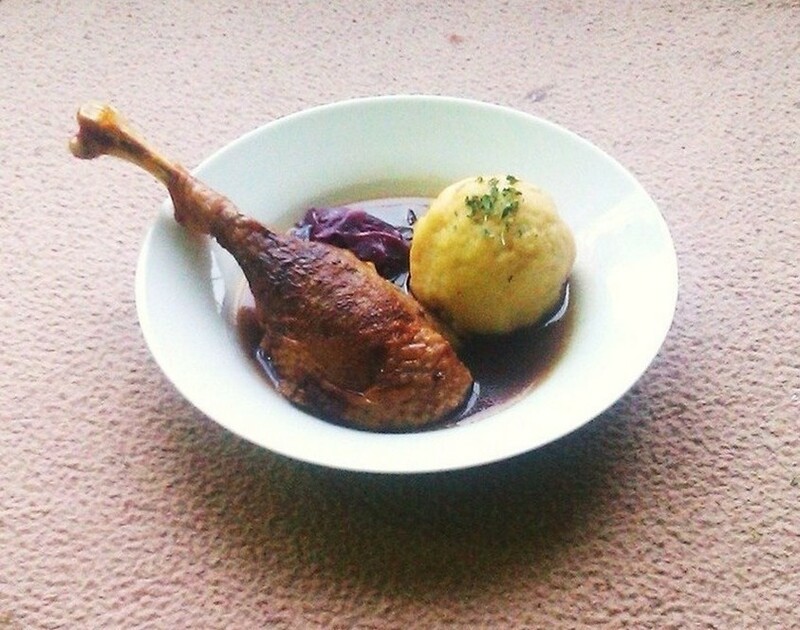 Roast Goose with potato dumplings and red cabbage is the traditional Christmas dinner in Germany. 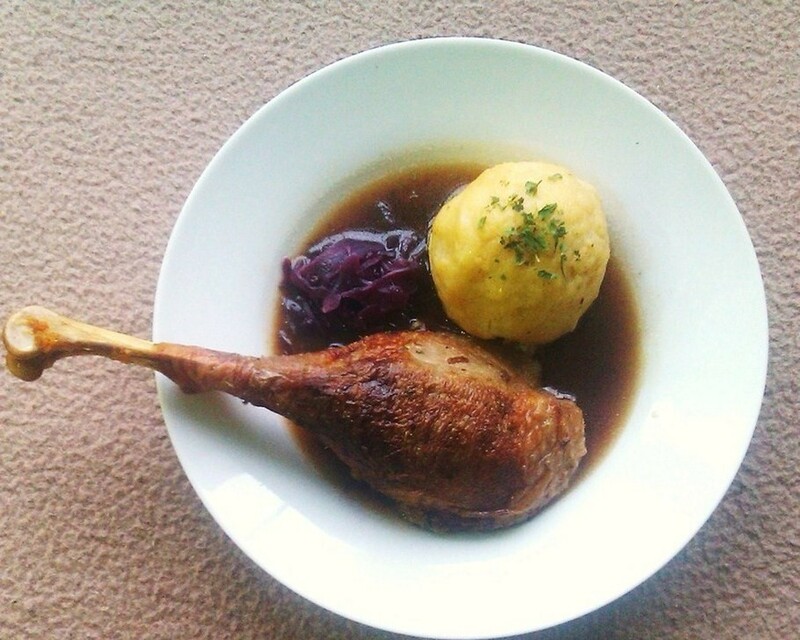 I have already posted a duck version of this dish which is virtually the same, except this recipe is made with the more popular festive goose instead of duck. 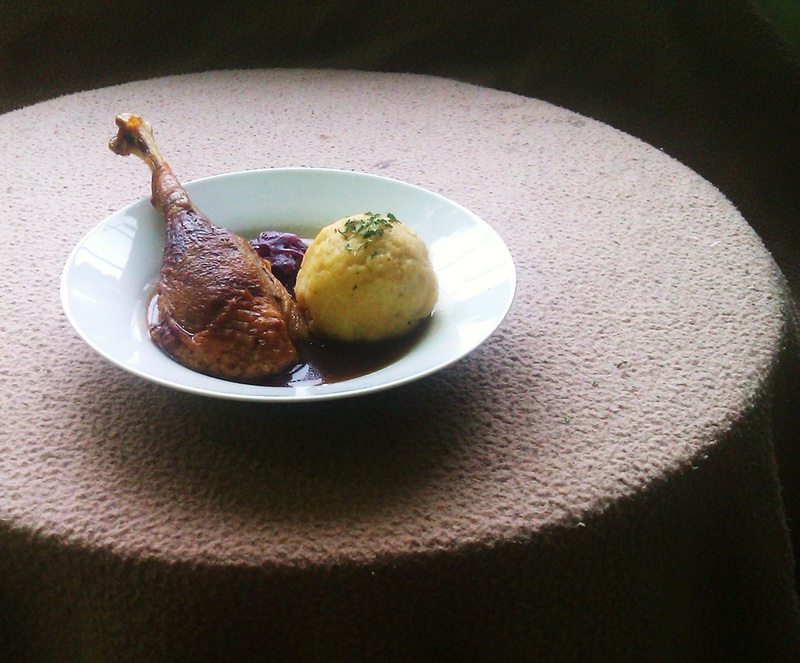 ​is the traditional Christmas dinner in Germany"
My Czech Roast Goose also follows the same recipe, as the two cuisines are very similar, even the dumplings aren't that different. 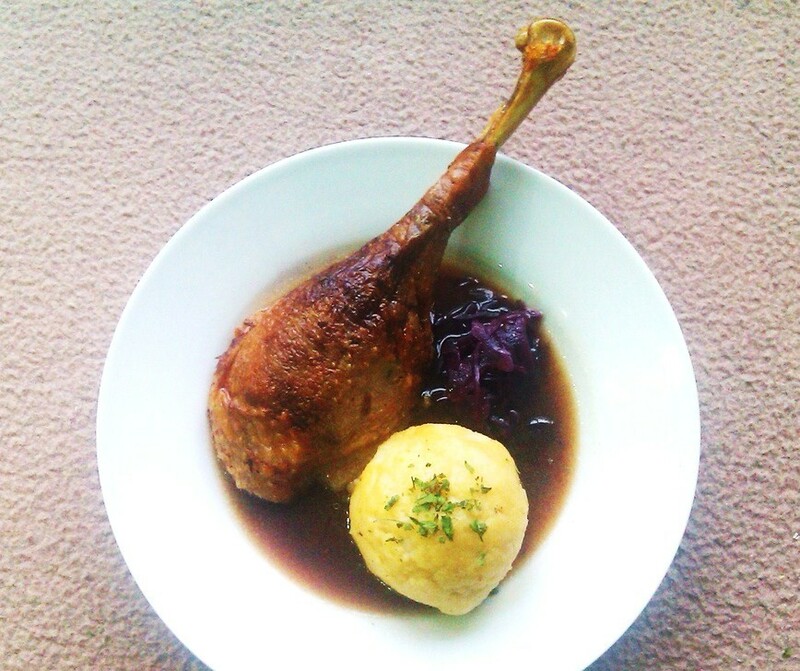 Both Czech and German cuisines have bread and potato dumplings. But I will confess the Czech dumplings are now my absolute favourite. 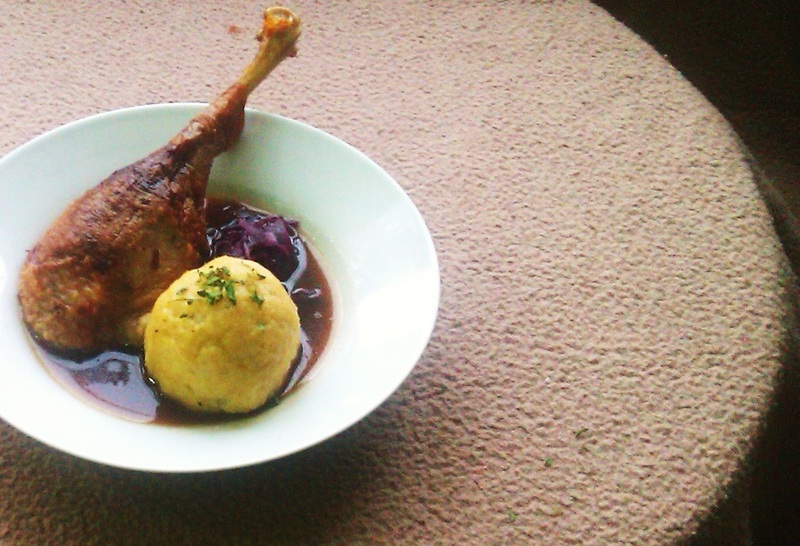 But I love the German potato dumplings too, and this Christmas meal is phenomenal. 1. Remove anything from the cavity if needed and discard. 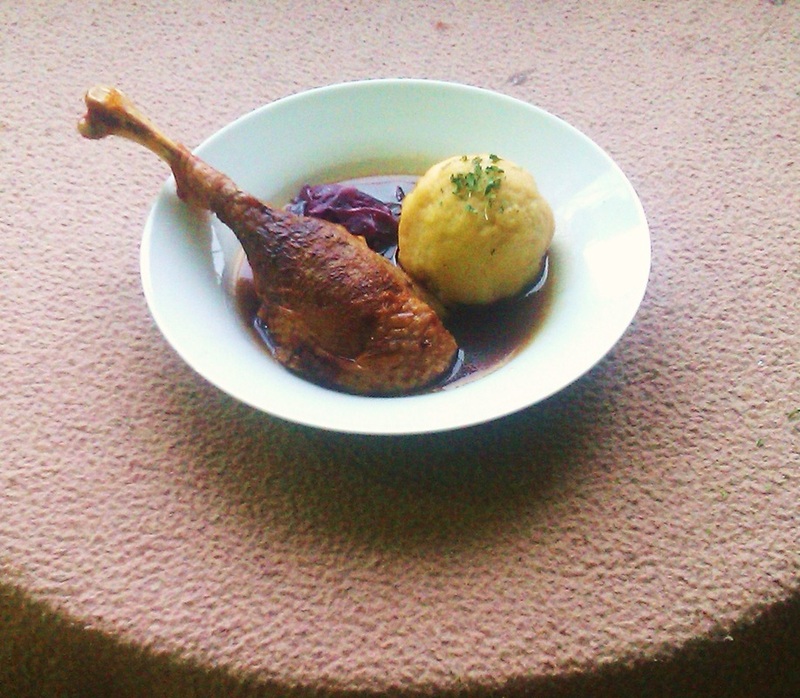 I don't like giblets. Of course you can use them if you wish. 2. Wash the bird thoroughly with lukewarm water and vinegar and pat dry. 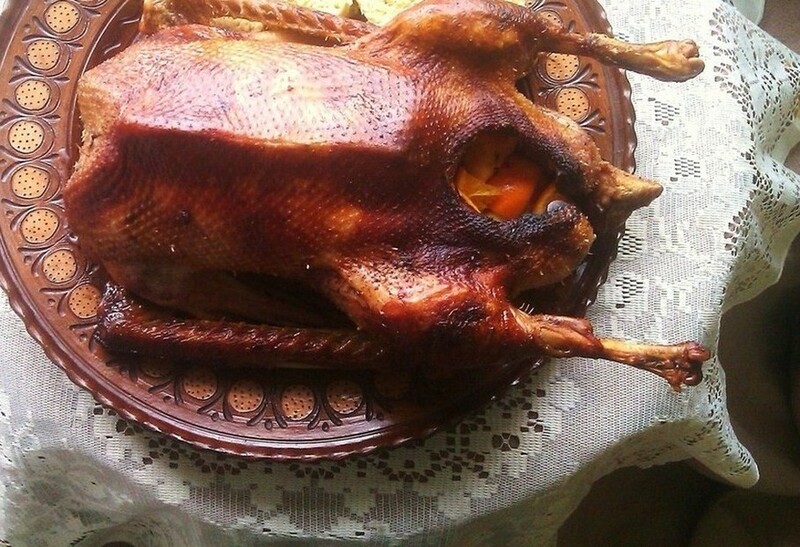 The skin must be dry for a crisp goose. 3. 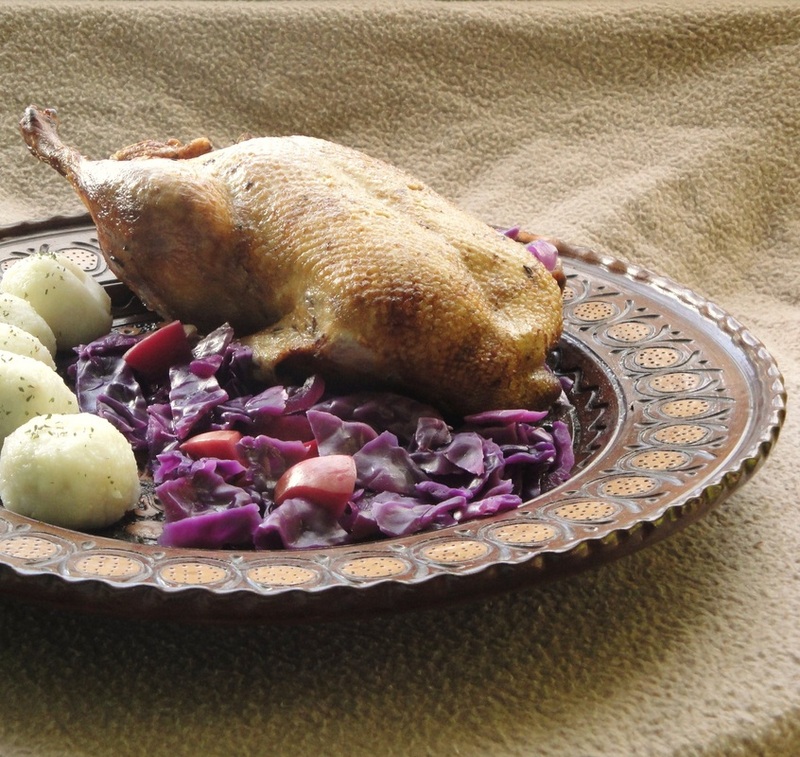 Place the dried goose in a roasting tin, and salt it with the tablespoon of salt. For even distribution sprinkle some salt on the bottom/tummy first all along there. Then a generous amount inside the cavity. After salting the cavity place the ingredients above inside. I usually start with garlic and onion first. There should be enough room inside. 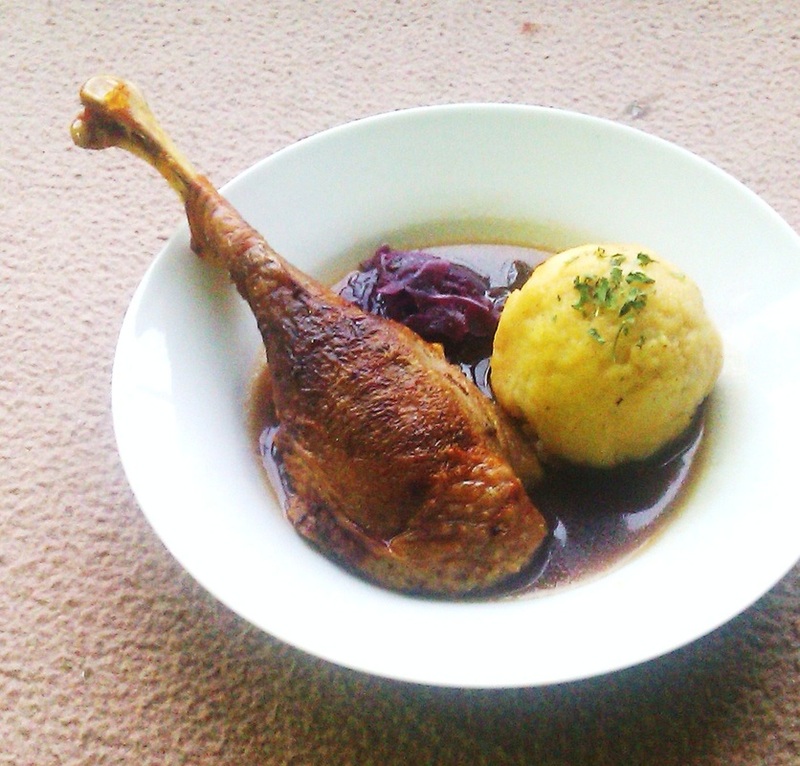 If not place the remaining ingredients around the bird. 4. Place in the middle of the oven and roast top side-not belly side, for 30 minutes. Then roast the belly/tummy side for another 30 minutes. 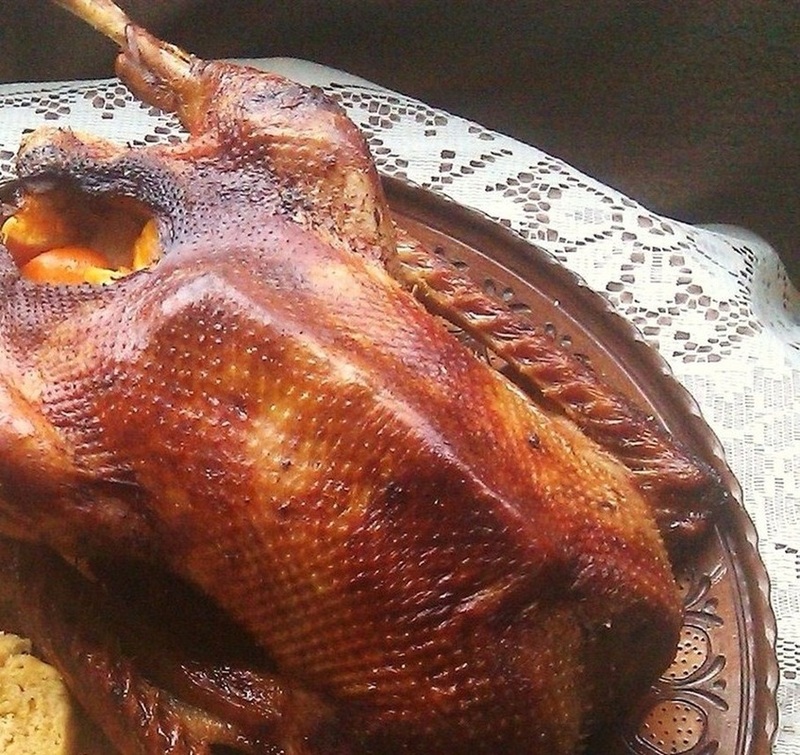 Base the goose with the juices and roast for at least another 45 minutes top side, so the skin can brown and get crisp. 5. 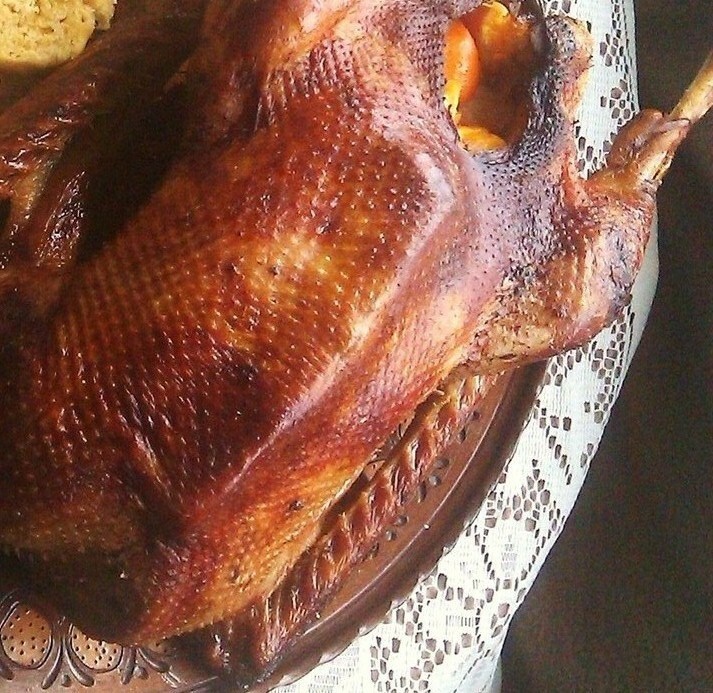 You really should base the goose every time you turn it. 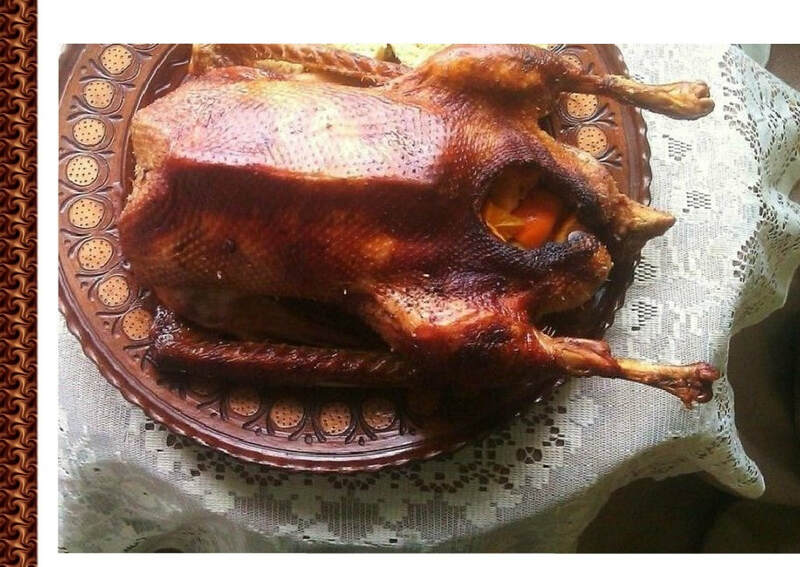 When it's almost done based the goose for a final time with the juices and drippings, and place in the oven for an additional five to fifteen minutes. 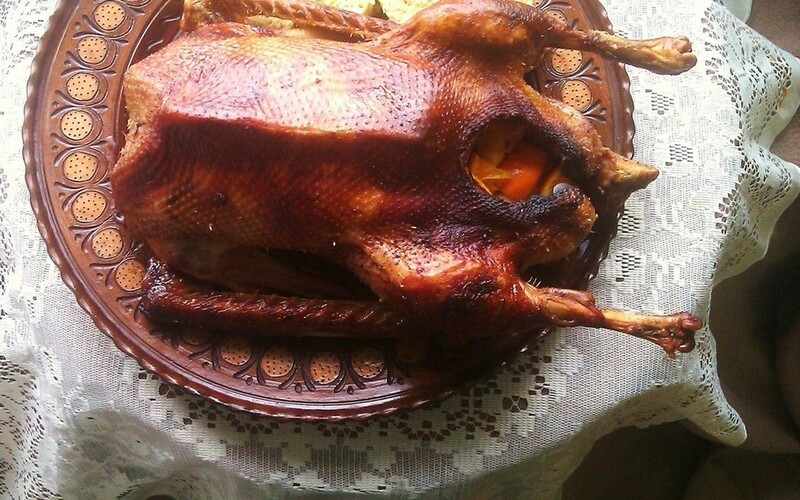 Depending on the size of goose and your type of oven you may need two hours or a little more. 6. 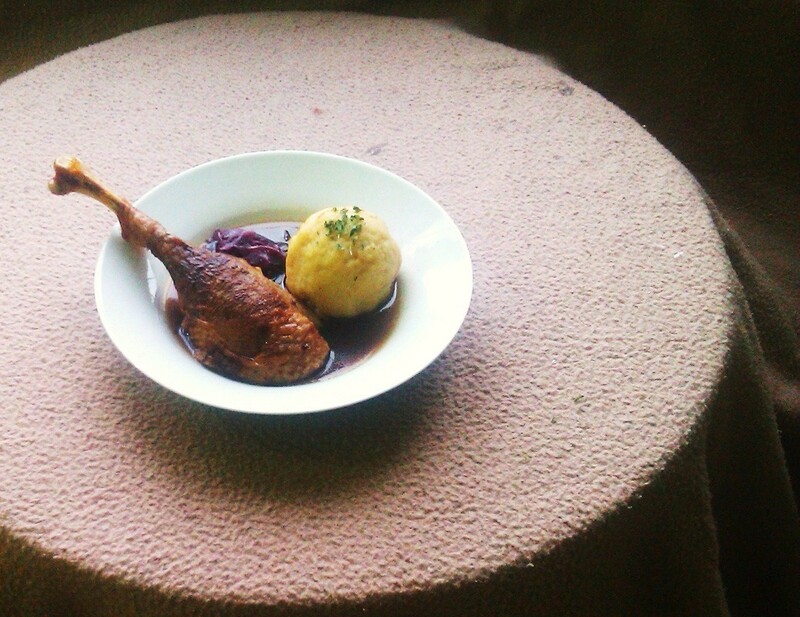 To test if the goose is cooked stick a skewer deeply into the part of the leg that's attached to the body. Press down and see if the juices run clear. If the juices are significantly red you need to place it back into the oven for another 15 minutes. 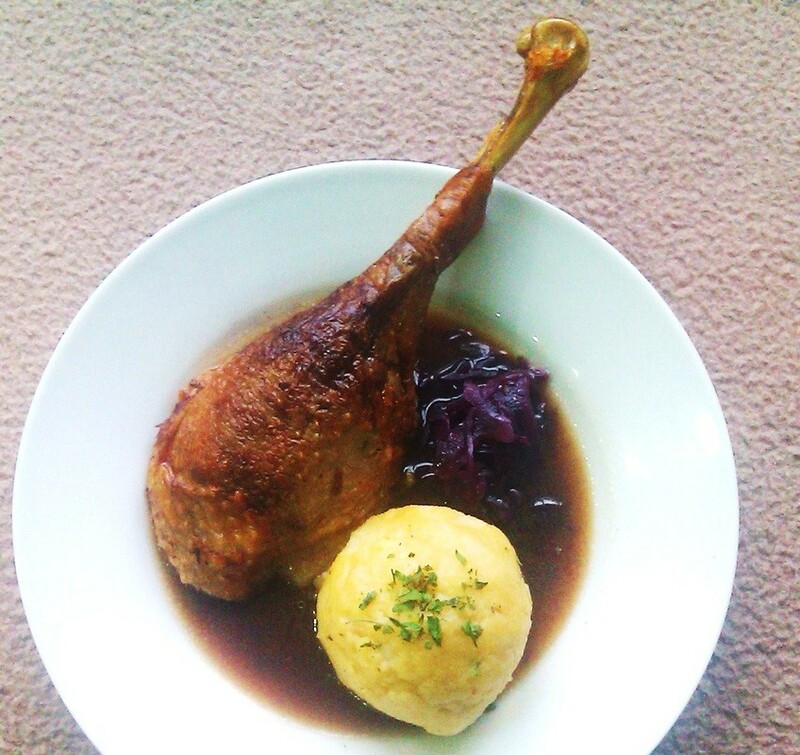 You will need...6 medium sized potatoes, 3 cups of semolina, 1 tsp of salt, a large pot of boiling salted water. This recipe is egg free, as that works better for me. 1. Bring a large pot of water to a boil and add about a teaspoon of salt. Peel the potatoes. Once the water has come to a boil add the potatoes and cover, leaving just a little air to escape so the water won't spill. Boil the potatoes until soft, this can take up to 30 mins approx. 2. Remove, the potatoes from the pot once they are fork tender and easy to mash. You don't need to discard water, as you will be boiling the dumplings. Let the potatoes cool for about 10-20 minutes after mashing or you may just burn your hands when trying to make the dumplings. 3. Measure 3 cups of semolina in a measuring jug, before adding to a large plastic bowl and add 1 tsp of salt. Stir in the salt with your hands or a spoon so it's evenly distributed. Mash the potatoes and add the semolina to them. You may want to wet your hands with the warm water to assist you. If you feel the dough is too sticky add a little more flour, if it's too coarse add a little water. Bring the same pot of water back to a boil. If the water has reduced simply add a little more. You need enough water to boil the dumplings.